Shooters just got weird! Plants vs. Zombies Garden Warfare digs into the trenches with an explosive new action experience. 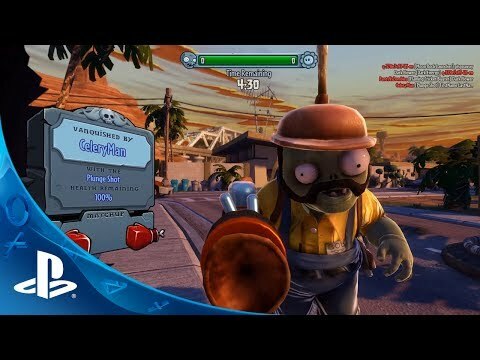 Blast zombies, plants, and new characters across a mine-blowing world that delivers the depth of a traditional online shooter blended with the refreshing humor of Plants vs. Zombies. Take on Co-op and Multiplayer action with your friends and sow the seeds of victory! 24-player multiplayer action—Choose your side, plants or zombies, in 24-player online battles. Customization—Personalize your favorite plants and zombies with hundreds of unique items and customizations. 4-player online co-op—Join forces with friends in online 4-player cooperative mode. - Requires PlayStation Plus, sold separately.